Hidden along the spine card of the Japanese jewel case for Capcom vs SNK 2 is the phrase “2D will never die!”, a little line of encouragement to the cult following that had formed around the pixel art style fighters. Unfortunately, the next fighter this company released was Capcom Fighting Jam. It didn’t take long afterwards for Capcom to reconsider and move to a 3D Street Fighter 4 and Marvel vs Capcom 3. Konami, meanwhile, had similar ideas and even now makes impressively artistic additions to the Castlevania series. Alas, today they’re relegated to handheld systems and get sales figures that don’t stack up to the original consoles, while Metal Gear Solid and DDR get the marketing budget and wide releases. Carry on, fans.. carry on. And so it’s left mostly to the fans to keep pixel art alive and pass the fandom on to the masses. In my case, I’ve been pixeling since 1999 and hanging around pixel and game sprite forums back when spriting was at its most popular, and it’s been an incredibly satisfying hobby. So I made this website. 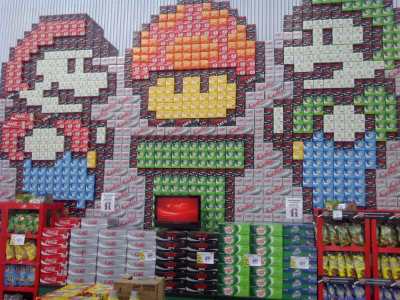 The subject matter is any and all pixel art, wherever it might be found. This site’s page themes are old NES games because I credit Nintendo the most for really burning pixel art into pop culture — when you think pixels, you think doing the most with the least, as Nintendo did with the big chunks of space each pixel took up in its 254 x 240 pixel resolution and 56-color palette. And yet the games they created with them were phenomenons we remember to this day. Plus the “NES look” is easy to capture: black everywhere, white borders with rounded edges, and bright vibrant colors. So this will be a site about the power of the pixel. What they’ve accomplished, where they’ve come from, and what people can do with them today. Hopefully you visitors who’ve never thought about how those old Street Fighter characters were put together will discover a new interest, and the already obsessed pixel artists will find some interesting new ideas. So go browse the tutorials, check back here for more posts, and if you’re an artist who’s hit a dead end with a sprite, send over a copy and I might feature it as a tutorial post.